Taking attendance in classes is a cumbersome task which can benefit from smartphone innovation. 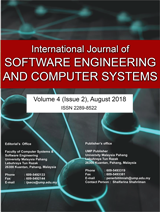 This study identifies the vulnerabilities of the technology and proposes a technique to identify cheating. Several smartphone features are proposed for collective use to improve the reliability. The first measure is by using Quick Response (QR) code as a unique token; the second measure is by using International Mobile Equipment Identity (IMEI) number as a unique identification; the third measure is by checking timestamp; and the fourth measures is by checking Global Positioning System (GPS) location of the student. Algorithm matches attendee with event using QR, identifies identify using IMEI and verify attendance using timestamp and GPS. Use cases conducted have shown feasibility in practical aspect and user acceptance. This paper evaluates reliability of the approach and inherent issues.